Kryptoin is a patented exchange trade fund powered by the blockchain. Users can select a basket of tokens and program the ETF to represent it and create your own index. Currently, the crypto market does not have a solid method of asset management. Kryptoin’s platform solves this gap by allowing buyers to invest in many tokens without individually buying each one. By purchasing the ETF tokens of a company, you can acquire a single crypto that has the same effect on your portfolio as if you had acquired many of them. We are impressed with the lead time on this project, and specifically, for the great use case for blockchain with smart contracts to create decentralized assets. The team is impressive, as are the advisors. Our areas of concerns here stem around user adoption; this is a complex and highly regulated concept, and we wonder if the crypto market is ready for ETFs. How to invest: To register for the Kryptoin Token Auction, the purchaser must agree to the Terms and Conditions and register for an account. Purchaser must pass through the KYC/AML verification process. Eligibility: Anyone can participate. US residents must be accredited investors. Token Price: KRP is equal to the NAV of the ETF which is a constantly changing value. KRP NAV is calculated in real time using the creation unit compositor. The start price will be determined on the sale date due to the variable nature of the ETF price. Payment Method: ETH contributions only. Problem addressed/solved: The crypto markets are very volatile with gains and losses of 100% being a very common occurrence. This is akin to high-risk gambling and ETFs can help to buffer this volatility through the use of averages. There is also a perceived need in the immediate future for vehicles of investment that allow for exposure to different sectors within the digital currency market. The digital currency market is international, but unlike equity markets and fiat currency markets, there are still issues that prevent investors from having access to all markets. This is because the new token issue market is regionalized and not all these new issues are listed on all exchanges. This market inefficiency poses a problem that ETFs can solve in the same way the ETFs listed on the North American equity exchanges have given investors exposure to Chinese equities. Target customers/customer/ segments/verticals: Kryptoin wants all investors to participate in the launch of their ETF coin, but they particularly want those who are hesitant to invest in individual coins due to the volatility of the crypto market. Value creation: Kryptoin believes ETFs will be sought by investors that want exposure to the crypto sector while simplifying their investment strategies. Cryptocurrency investing can be highly technical and confusing to many who may not possess in-depth knowledge of individual crypto assets. 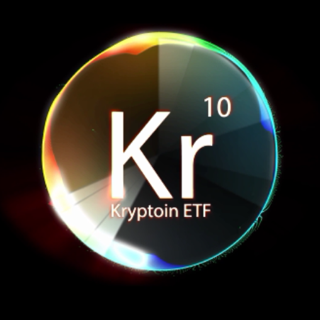 Kryptoin strives to push the evolution of the ETF by incorporating decentralized systems and AI to create the best ETFs of the new economy. 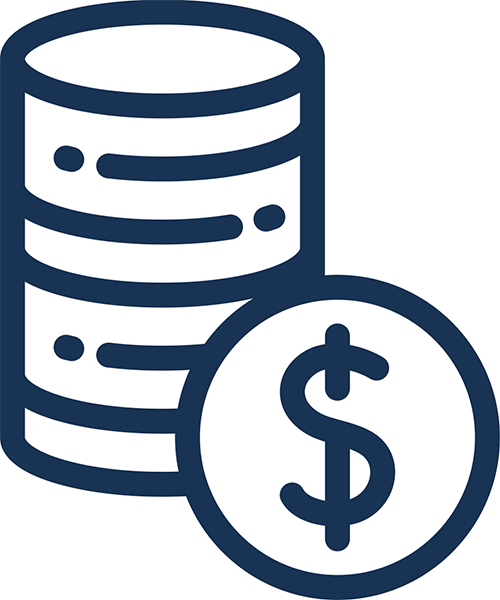 The project’s index compositor creates index funds that work like passive investments and enable users to slice the market however they want. Offering security and high liquidity, the exchange trade fund is backed 100% by real currencies, and the project offers an API that can be used for third-party companies interesting in partnering with the platform. Competition: Kryptoin has few competitors at the moment, but that will likely change as new investors look for different avenues to store their money in digital currency. Crypto20 and FirstCryptoETF are two ICOs who have already raised significant funds for their ETF-related projects. The factor that separates Kryptoin from most competitors is its Provisional Patent on the method by which their ETF coin is created and redeemed. It’s the first patent of its kind in the United States. Market size/potential: The cryptocurrency market cap sits at around $280 million USD at the time of writing. It has previously hit record highs near $900 million USD in January of 2018. As cryptocurrency continues to break into the mainstream, investors will look for new ways to take part in the action. The potential for this market could exceed that of traditional exchanges (NYSE, NASDAQ, etc). Regulatory risks: This is a heavily regulated space. The SEC has been known to reject bids for ETFs. However, Kryptoin is decentralized and will not have to rely on the SEC to exist and function. Investor value: Investors won’t find their value in the initial KRP but rather in the KRYP ETF coin. They’ll have to trade in their KRP coins to reap the benefits of the ETF. It does not pay dividends but actually increases in value as a separate coin (KRYP) based on the performance of the ETF. Disclosures: Other than a lack of employee bios, Kryptoin has an excellent array of documents disclosing its project and associated patents. Their whitepaper has tons of information and the token auction documents give all necessary details for the ICO. The “patent pending” document gives proof of their concept and represents the most valuable attribute in terms of their technology. Token distribution: 60% Token Sale Participants, 5% Bounty Program, 1% Legal, 1% Advisory Team, and 33% Kryptoin Team. Use of proceeds: 40% for ETF platform development, 40% for marketing and operations including efforts to list the token, 10% for bounty programs, and 10% for advisor and strategic partnership incentives. Track record: Kryptoin ETF has one of the smaller teams in the industry. It consists of four upper management members and three developers. Donnie Kim (CEO) and Tariq Ali Asghar (CIO) lead the charge with the most impressive resumes. Both men were former CEOs and Mr. Asghar received his Masters and Doctorate in Econometrics from Boston University. Their lead blockchain developer, Vineet Tyagi, has extensive programming experience, and he co-founded a blockchain consultant company in July of 2015. Integrity: Although Ktyptoin has less manpower than most projects, that actually bodes well for the public’s perception of their integrity. Americans (and much of the world) still believe in the honesty and fairness that small business represents. As companies increase in size, keeping everyone accountable for their actions becomes more and more burdensome. Having said that, the team allocates 33% of tokens to themselves, which is extremely high by all standards. MVP: According to the roadmap, the MVP was completed in March of 2018, yet the team hasn’t posted a link or screenshots of the UI as proof. Token use case: The purpose of KRP Tokens is to initially seed the ETF ecosystem and generate the ETF Token for the Kryptoin Blockchain 10 Index. The KRP Tokens will be exchanged for the KRYP token only after all the rounds of the entire auction have been completed. This is also subject to when the trading desk becomes functional with the exchange. The KRP tokens will be exchanged at a 1:1 ratio with the ETF token KRYP. Value-added: The initial KRP token serves as a method of crowdfunding the Kryptoin project. Once the platform and ETF are built, investors will trade their KRP tokens (on a 1:1 basis) for KRYP tokens which represent fractional ownership in the ETF. Once these tokens are obtained, they are available to be transacted and transferred between all addresses. These tokens have no cap or limiting number because they represent the ETF. An unlimited amount can be created to meet demand as this is the nature of ETF. Decentralization: The long term vision for Kryptoin is to create a decentralized ETF system where ETF issuers are able to launch their own ETF indexes and tokens. Technical difficulty/investment expertise needed: The majority of investors are likely familiar with ETFs (Exchange Traded Funds), but Kryptoin’s ETF will differ in a few key ways from traditional ETFs. Unfortunately, Kryptoin doesn’t have the most user-friendly whitepaper nor does their YouTube video help with the explanation. Kryptoin needs a more effective method to translate the “crypto gibberish” into plain English so that all investors can get excited. Halo effect: Kryptoin has no partners to date. Kryptoin plans to use 10% of the funds raised to pursue partnerships and incentivize potential business partners. Buzz: Kryptoin starts off on the right foot with a hefty 43,000 Telegram members. However, they derail a bit on the social media side of the spectrum. Their Facebook and Twitter accounts only have a combined following of 7,000 people. Having said that, investors typically care far more about Telegram followers versus social media (Facebook, Twitter, YouTube, etc).